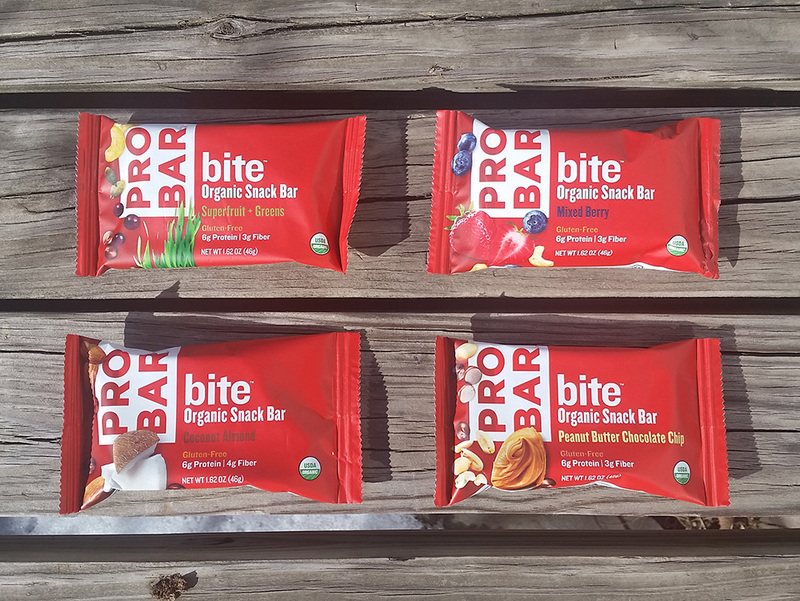 ProBar has made a name for itself for its delicious, yet filling organic meal bars. So, when the company released the Bite a couple months ago, a snack-size option, we were hoping for the same scrumptious flavor. All too often snack bars come across as unpalatable bricks. The Bite bar skirts a happy medium with a light and flavorful taste that you can eat in one sitting without feeling full. Its 200 calories are about perfect for on-the-go eating. A box of the new bars arrived at GearJunkie HQ for us to taste. With flavors ranging from peanut butter and mixed berry to “superfruit” and coconut, there should be a bar to satisfy just about everyone’s pallete. All of the flavors were a delicious blend of krispies cemented together with a cane sugar base. I enjoyed the peanut butter chocolate one the best because, well, you can’t ever really go wrong with peanut butter and chocolate. Each bar has a subtle taste that didn’t overwhelm my pallet and kept me diving back in for more. The mixed berry flavor even has whole, dried berries in it. The krispies gave it a delightful crunch and an airy texture that didn’t leave the bar feeling like a gut-bomb. 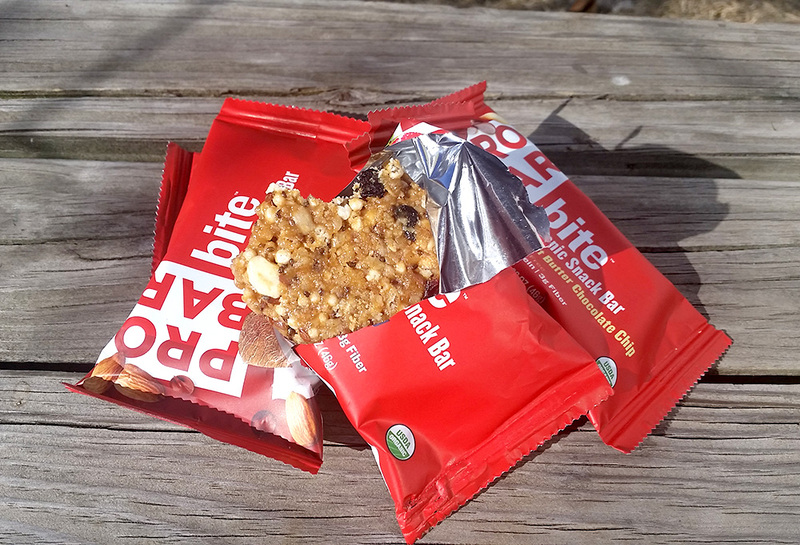 I could see myself eating Bite bars in a packed lunch or for a quick boost on the trail. A note for folks snacking in cold weather. We left a bar in the freezer for about an hour and it froze pretty solid. Make sure you keep one close to your body so it’s ready to eat when your stomach starts growling. A pack of 12 bars cost about $24 and are available now through ProBar.